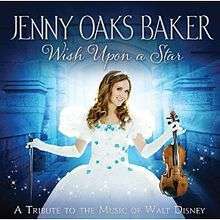 Wish Upon a Star: A Tribute to the Music of Walt Disney is the tenth studio album by American classical violinist Jenny Oaks Baker, released in 2011 through Shadow Mountain Records. Produced and arranged by Kurt Bestor, the Disney music tribute album features eleven tracks, including one medley of songs from Mary Poppins. Wish Upon a Star reached peak positions of number six on Billboard's Classical Albums chart, thirty-five on the Top Heatseekers chart and number eighteen on the Top Kid Audio chart. Wish Upon a Star also earned her a Grammy Award nomination for Best Pop Instrumental Album. Wish Upon a Star marks Baker's tenth studio album, having previously recorded albums consisting of movie tunes, hymns and classical music. The album contains eleven tracks, including one medley of songs from the 1964 film Mary Poppins. The opening track, "Colors of the Wind", was written by composer Alan Menken and lyricist Stephen Schwartz for the 1995 film Pocahontas . The song earned the duo an Academy Award for Best Original Song, a Golden Globe Award for Best Original Song and a Grammy Award for Best Song Written Specifically for a Motion Picture or Television. "A Spoonful of Sugar", "Chim Chim Cher-ee", "Step in Time, Feed the Birds", "Supercalifragilisticexpialidocious" and "Let's Go Fly a Kite" were each written by Robert B. Sherman and Richard M. Sherman, often credited as the Sherman Brothers. Track three, "Beauty and the Beast" features cellist Nicole Pinnell. ↑ "Wish Upon a Star: A Tribute to the Music of Walt Disney". Allmusic. Rovi Corporation. Retrieved February 10, 2012. ↑ "Jenny Oaks Baker : Chart History". Billboard. Prometheus Global Media. Retrieved 8 February 2015. ↑ "Wish Upon a Star: A Tribute to the Music of Walt Disney – Charts & Awards". Allmusic. Rovi Corporation. Retrieved February 10, 2012. ↑ Butters, Whitney (September 11, 2011). 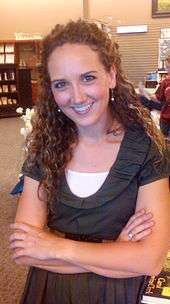 "Jenny Oaks Baker puts 'sophisticated' spin on Disney tunes". Deseret News. Salt Lake City, Utah. Retrieved February 10, 2012. ↑ "5 things you need to know about Oscar nominee Stephen Schwartz". Pittsburgh Post-Gazette. Pittsburgh, Pennsylvania: Block Communications. February 24, 2008. ISSN 1068-624X. Retrieved February 10, 2012. ↑ "Best Original Song – Motion Picture". Hollywood Foreign Press Association. Retrieved February 10, 2012. ↑ "Winners of the 39th Annual Grammy Awards". Billboard. Nielsen Business Media, Inc. 108 (10): 97. March 9, 1996. ISSN 0006-2510. Retrieved February 10, 2012.